Having your children separated from you in the wake of your divorce (an already emotionally brutal experience) can be overwhelming and traumatic. More times than not, custody decision by the court is not likely to be overturned soon after the divorce, barring some huge and egregious act by the spouse that was awarded the custody. In order to initiate this process, it is important that you examine the reasons why the court decided to not give you custody of your children. Moreover, it is imperative that you significantly change your behavior and/or lifestyle that the court felt was a risk to the welfare of the child. Once you file the post-judgment motion with the court, you are going to have to prove to the court that not only have you changed to the point that you can have custody of the children, but that your child’s life would benefit from a change in custody, and that the change is necessary for their welfare. Changes that occur in the child’s life and home are known as material and substantial changes, and the courts use these as well to determine if a change of custodial parent is best for the child. If you are requesting to modify the custody agreement under these kinds of changes, note that they must have happened since the divorce was finalized. What this means is that you cannot call on some behavior of your ex during the marriage that “proves” they are an unfit parent; the court would have decided that themselves during the divorce if they thought so. If the court, when explaining their reasoning for not awarding you custody, involved a drug/alcohol problem, or inappropriate parenting, you should already have been attending treatment courses or parenting classes. Resolving the issues in your life that the court identified as the reason you cannot have custody of your children is the best way to not only show that you have changed, but care so much about your children that you overcame extremely difficult obstacles in your life in order to have them back. Throughout this process, it is important to retain legal counsel, as an attorney can best inform you what you need to change in your own life in order to attempt to gain custody of your children, but they also can make sure that the court is keeping an eye on your ex-spouse as well, so that if their behavior begins to compromise their ability to parent, your child is removed from the unfit location and their welfare is secured. 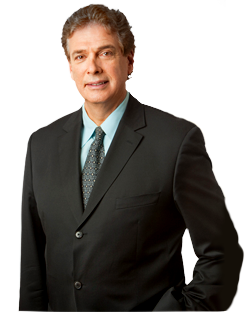 If you need legal advice from an experienced child custody lawyer in New York. Call Paul E. Rudder, Esq. today. Mr. Rudder can be reached by calling (212) 826-9900.